All you really need to do is accept the moment fully. You are then at ease in the here and now and at ease with yourself. Throughout the spiritual classic The Power of Now are specific practices and clear keys that show us how to discover for ourselves the 'grace, ease, and lightness' that comes when we simply quiet our thoughts and see the world before us in the present moment. I listened to the Power of Now and found it wonderfully valuable. However, at 7 hours long, it's tough to use for reviewing the key lessons. Practicing the Power of Now is more condensed and bite-sized. You can listen in 10-15 minute chunks and get real value. Or, listen to the entire book at once and get a complete reset. I wouldn't buy this unless you've read or listened to the Power of Now, because you need to understand and believe the theories so well explained in that book. As a refesher, however, I found it very, very helpful, and more than worth the purchase price. This is an excellent audiobook. It is repetitious, yes from the Power of Now but he the more you listen to it and don't try to figure it out, you will understand what he is trying to convey to you by just listening with and open mind. If you DO NOT have deep sorrow or need to find how to control your mind and seT your mind at peace then this book is not for you. It is to be listened to and listened to and then it all comes together. Little by little the words are consoling, and enlightening. I would recommend getting POWER OR NOW first and then listening to this book. Something about the way Tolle expresses himself is so entertaining. He gets his point across by asking simple questions with obvious answers that bring to light the nonsensical ways in which we think. This book truly enriched my life, introducing me to my own life using explanations so entertaining, self evident and logical that even my very cynical and anti-spiritual German husband enjoyed listening with me. This book is transforming, was on my second round with Power of Now, but this book puts it in a condensed sections of where it breaks it down to meaningful sessions that are provoking. The exercises he has you do help you to be still and reach inside to your inner body and helps you to let go of the thinking pattern going on. each session I am able to reach more of more of awakening! I find myself going hours of the Non thinking mind if I am not working. It is very refreshing and brings peace and calm in your every day life. I highly recommend this book to anyone wanting to be free from negative and bad behaviors, such as depression, anxiety, moodiness, all sorts of illnesses. I was in a state of deep depression when I started my journey and now I no longer identify myself by my past or from what others think of me, that is none of my business! Its great to have that freedom! it has even made changes to our lovely cat Buddy. he is much calmer and more affectionate around me. What made the experience of listening to Practicing the Power of Now the most enjoyable? 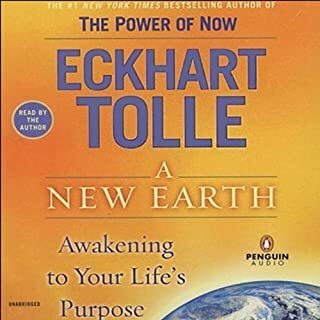 Eckhart Tolle is the absolutely best of his kind, followed by Alan Watts and Ram Dass. Have you listened to any of Eckhart Tolle’s other performances before? How does this one compare? 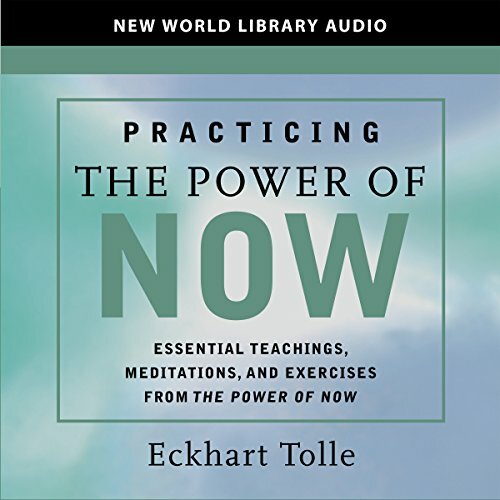 The Power of Now is the culmination of all of Tolle's works. I've read them all, and this one seems to distill the essence of his teaching. It's priceless. Despite some apprehension, really liked this. I'm not a new-age kind of guy, but I really liked this audiobook. The ideas are very interesting and even life-changing. It is really worth your time to listen to this book. And forgive the author for his occasional use of new-age sounding terms; his message and the concepts seem very solid notwithstanding. the words in this book convey to me the essential Truths about Life in a way that is so easy to understand. I highly recommend this to anyone with the desire to "know thyself". I found the book a refreshing surprise. It's an easily digestible aid to the Power of Now, which I personally feel attuned to. The narrative provides a good housekeeping guide for the listener. Beautifully read, the idea is well conceived and executed. For a month now I've been listening thrice weekly and I'm still unearthing gems to sustain my present state of grace, which makes me smile at the sheer value! Life situations that previously challenged me by draining all my reserves just seem effortless now. Interestingly, people who seek conflict during the daily commute or work colleagues with their own personal battles to overcome, seem powerless now provided I observe the simple premise of the book. The burden of cancer still lives in my close family and life situations continue to crash down on me, yet somehow this author has signposted a way of unfolding my conscious self from body and mind. I recommend this book to those with an amber or green light for spiritualism. This is the very important basics! I love to recommend this book to my friends, because he explains such important basics of life, how to be, so simply and easy to understand. I've known the principal and practicing the power of now for many years, but this book just put it so simply and easily and explains well. Very comforting to listen to. By coincidence I had started meditating recently. This ties in a lot with the idea of being present and focused on the now. There is a lot of depth to the book. I have found it helping me to live better and more consciously. Great book. Better to read the power of now before picking up this book. still an essential read. Very good I highly recommend this book without any reservations. stunning, absolute delight, truly profound. A compilation of the great exercises from his other books, which unfortunately, I found too long winded to listen to. Great way to improve my inner life, finding time to meditate or practice ways of improving my self awareness is difficult. This audiobook is perfect to listen to while doing automatic actions (getting dress, undress, having a brew, also after my lunch, 5 min of quiete time is refreshing. The only unerving thing is the snorting, but if you listen to the author frequently, you get use and it becomes like rain outside. Very easy practical exercices! 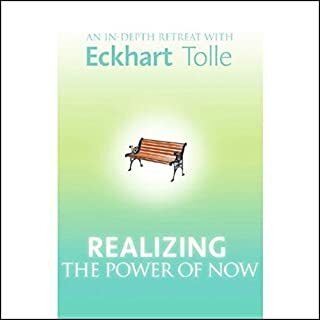 I have long returned to the original book, The Power of Now, as a reminder that there is only this moment, and that we need to be aware when our mind takes us off to the future or the past. The mind is a useful tool if we use it, rather than let it use us. 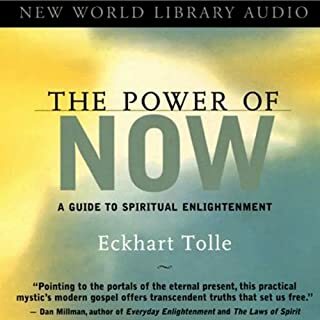 In this book, Practising the Power of Now, Tolle explores and expands upon the themes from The Power of Now, and also A New Earth, which gives a greater depth of understanding to concepts like the pain body, the egoic mind and awareness. He also gives more practical examples of how his teachings apply in every day life,eg in relationships. His voice is soothing and hypnotic, and every word feels true and makes perfect sense. It is true what they say - when the student is ready, the teacher appears, and Tolle is a true teacher for our age. i enjoyed listening to this book. did find some of it went over my head but I think it would be just a case of listening again and agin to better understand. i did find it thought provoking and has pecked my interest in learning more. I was hoping for some extension of The Power of Now. This is almost identical. Even has many of the same phrases and examples. Just get the original. A refreshing approach about living in the NOW. Our mind & ego haunts our being by dwelling on the past & projections of our future. I am 80 with malignant melanoma. The past 5 years have been difficult. I am stable at the moment but dealing with complications of radical surgery, radiation & chemotherapy. Immunotherapy saved me. 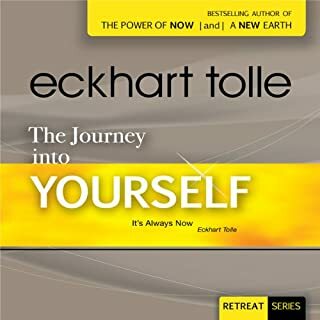 I have found Eckhart Tolle’s Audiobook very helpful & I coping in the Now . He enhances the Grace I receive from the Holy Spirit & helps live God!s Way with Jesus. I receive Solace listening to it after my Quiet Time with Jesus on awakening . Highly Recommended! The power of now gives you exactly that ! I love this book, it puts you in a calm state and really makes sense. I would recommend to anyone, very impressed. 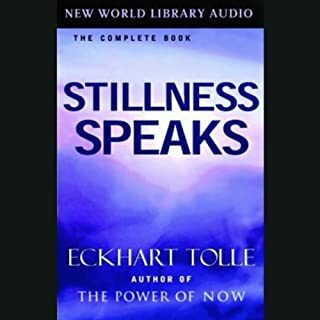 You will gain some inner peace, once you take the time for yourself to get your deep breathing going and listen to the simplicity and calming voice of Elkhart Tolle. I found this to be succinct and filled with wisdom/truth. Got through it in a day and will start another listen as I will stop it more frequently and savor the ideas more. Listening to Eckhart's voice and spoken word takes me to a place that is spirit. Really enjoyed the narration and content. I have revisited this book many times. 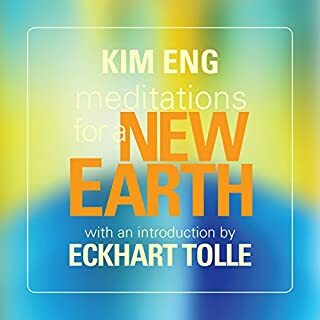 Recommend to any one trying to grow there inner peace. It took me a while to get used to the language and concepts and I listened to a few chapters over and over again. Amazingly insightful but practical advice that I will now try to follow for the rest of my life.